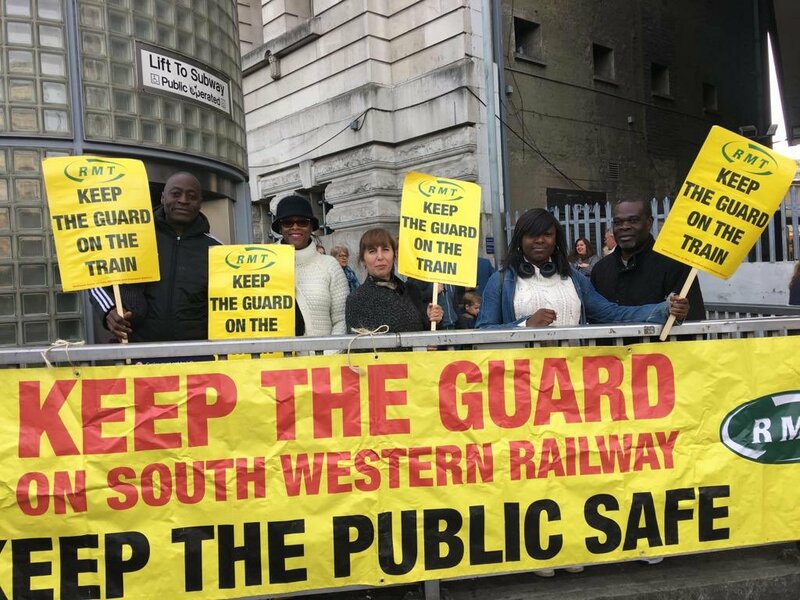 RMT members working for South Western Railway have voted for the fourth time again over keeping guards on the train. Tory anti-union laws meant the union had to renew its mandate for action– the fourth time it has done so, with the company stringing out the process every six months in the hope that its constant undermining of their own workforce will impact on union members’ morale. The union says the 88% ‘Yes’ vote shows the strategy has failed. It has called on the company to get around the table for meaningful talks. The new strikes will take place on February 22, and March 9 and 16. The ballot result came a day after RMT secured a guard guarantee in the long-running dispute on Northern Rail allowing the union to suspend on-going strike action. RMT general secretary Mick Cash said: “RMT has been forced under the latest wave of Tory anti-union laws to ballot for a fourth time in the rail safety dispute on South Western Railway under the six month rule and once again our members have stood united and solid and have renewed the mandate to carry on the fight to put public safety before private profit.